The Upper School students at LCA invested many months this semester into preparing LaFayette No. 1. The drama was set in the early 1800s as the yellow fever epidemic ravaged the streets of New Orleans, leaving behind lots of orphan children who were all but forgotten. 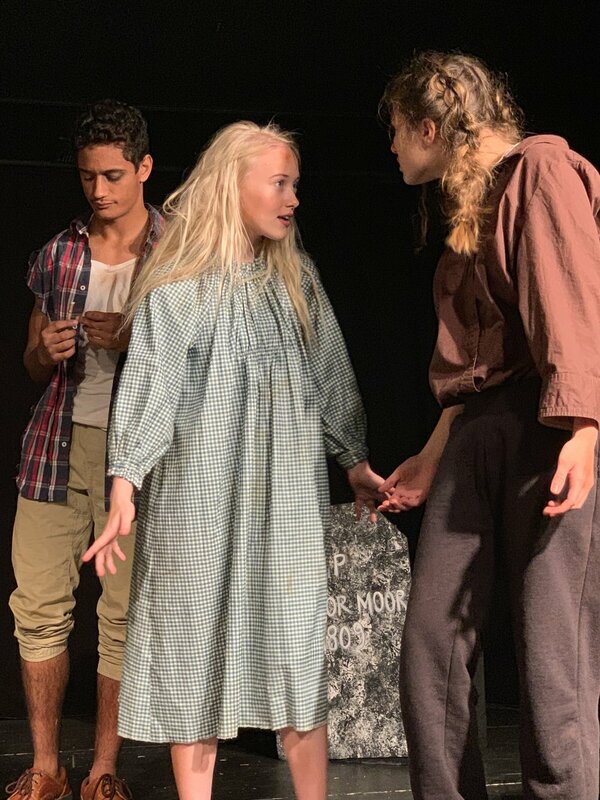 This production was performed and received honors at several theatre competitions during the months of October and November before it was performed for our own community in December. The show took 2nd place at the GISA 4-AAA region competition and earned a spot in the state competition. Seniors Lillie Sirmans and Rebekah Teffertiller received GISA Region Outstanding Performance honors. Natalie Fowler received the Best Actress award and Rebekah Teffertiller received the Best Supporting Actress award at the 1st ever ACSI One Act Play Festival at Athens Christian. Walt Gaines, Connor Gann, and Lillie Sirmans were selected as part of the All Star Cast. The competition season came to a close at the GISA State Competition in Vidalia, Georgia, where LCA was awarded 3rd place in the state with Connor Gann and Lillie Sirmans receiving honorable mentions for their performances. We’re so proud of each and every student for their efforts in this theatrical presentation. It takes many people to do something like this so well. And the long-term benefits for the students include things such as building self-confidence, flexibility, and adaptability, developing commitment and passion for what they were doing, working together with other students cooperatively, and learning mutual respect for others’ roles and abilities. (These sounds like the “soft” character qualities that employers cannot teach but desire in all of their employees!) Thank you, students, for sharing this drama with your LCA family, and congratulations in your success in presenting it at the school competitions. We Are LCA!